Taxi aggregator platform Ola today said it has appointed Joy Bandekar as Corporate President to lead new initiatives. With over 20 years of experience, Bandekar will be part of Ola's core leadership team, focusing on new initiatives for the company, Ola said in a statement. He joins Ola from Flipkart where he was most recently the corporate president. Bandekar has worked with organisations like eBay, Kirloskar, Reliance Industries, Maxworth Orchards and Atcom Technologies. "We are excited to welcome Joy to lead new initiatives at Ola. His rich experience from a variety of businesses will be invaluable to us as we continue to grow the on demand mobility ecosystem in India," Ola co-founder and CEO Bhavish Aggarwal said. Speaking about his new role at Ola, Joy Bandekar said, "Ola's focus on mobility and the way it has built an ecosystem to enable personal transportation for millions is awe inspiring. I am thrilled to be part of this growth story look forward to contribute towards the success of the company in the time to come." 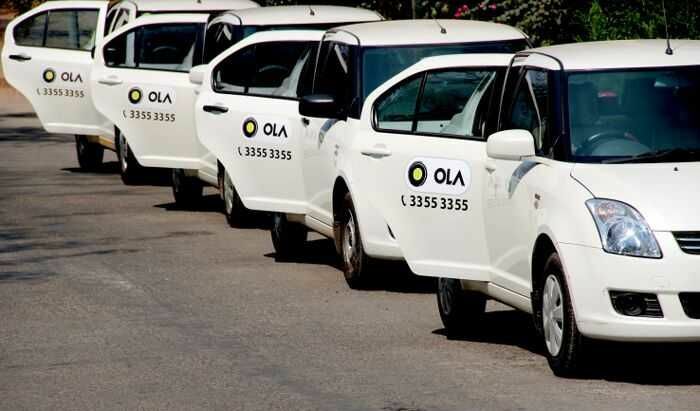 Ola has been aggressively hiring veterans from across sectors to strengthen its core team and operations. Recently it announced the appointment of Rajiv Bansal, the former CFO of India's second largest IT services firm, Infosys, to head its finance operations. Ola, which competes with the likes of Uber and Meru in India, connects drivers to prospective riders using its technology platform. While it has been rapidly expanding its presence in the Indian market, Ola has also signed a global pact with China's Didi, US' Lyft and Southeast Asia's GrabTaxi to allow users ofthese ridesharing apps to seamlessly travel across India, China, the US and Southeast Asia.